Nevex provides award-winning server-side caching software that guarantees storage performance for the applications that really need it. CacheWorks empowers IT administrators by providing flexible control for application- specific data acceleration. I/O-bound virtual platforms such as VMware and Hyper-V, running database, business intelligence, mail server or transactional web server applications, are able to run much faster because they are not constrained by limited storage speeds. Organizations can now use CacheWorks for performance and optimize existing spindles for capacity, snapshots/backup, and management. For more information on the company and its software, visit www.nevex.com. 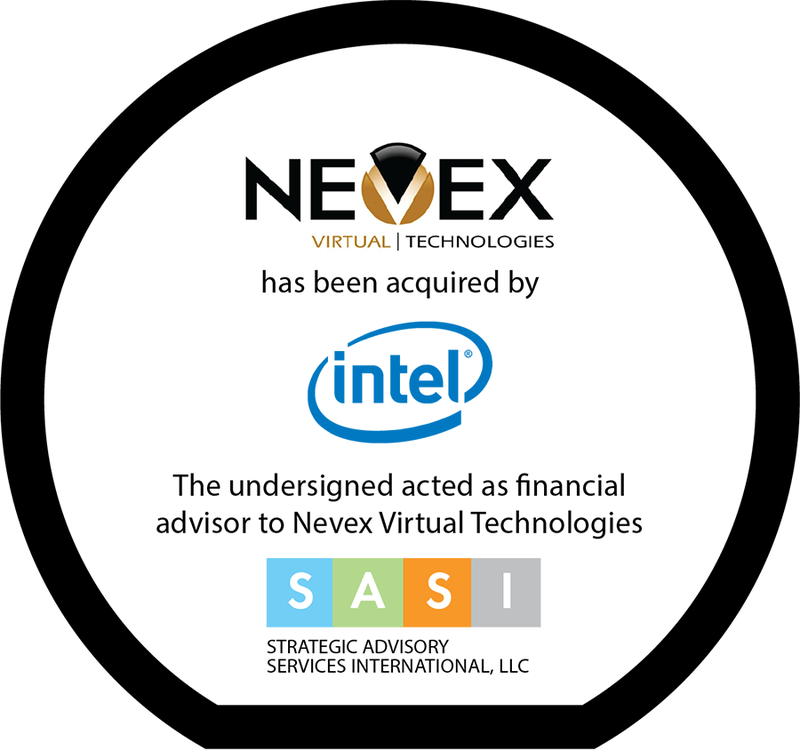 SASI was engaged to explore strategic options for Nevex including the sale of the company. At the time of our engagement, Nevex had recently launched CacheWorks and was receiving significant interest from a range of strategic partners. SASI led internal strategic discussions and assisted management in defining an action plan. SASI led all discussions with interested strategic partners and ultimately drove the process toward a successful M&A exit. Keys to success included in depth market knowledge of the caching space, trusted relationships with potential strategic partners and overall deal execution in a timely manner. “John is well connected and very knowledge in the IT Infrastructure arena……..we highly recommend John and will use him again. His assistance was crucial in the sale process and negotiations.” said Steve Lamb, CEO of Nevex.